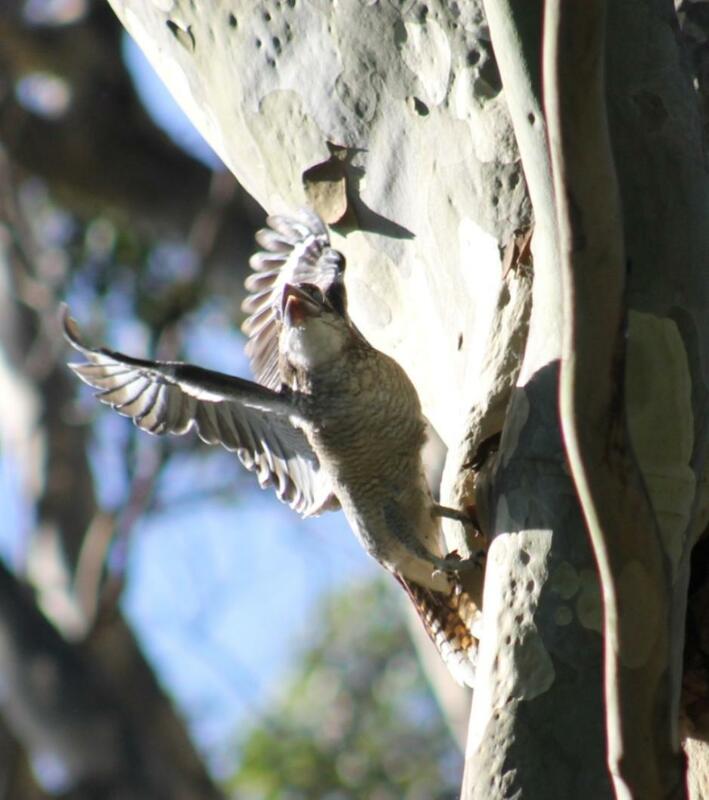 The family of Kookaburras that live in our yard have two new young this Summer who are flying around our spotted gums quite well now. 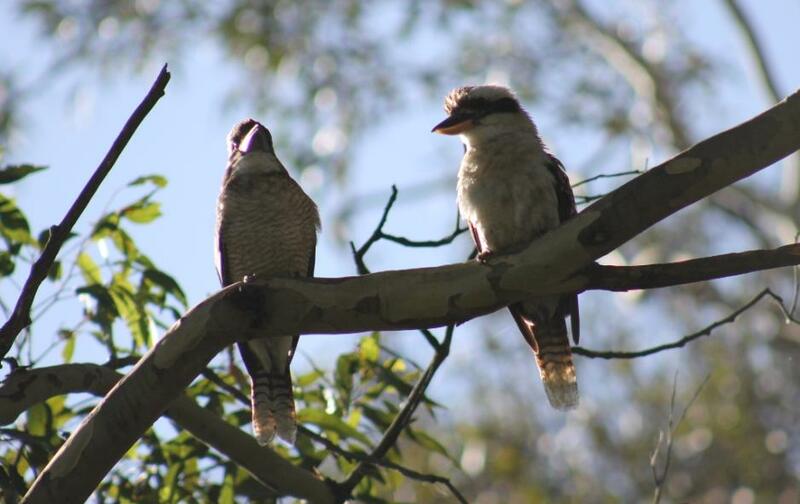 The Laughing Kookaburra (Dacelo novaeguineae), also known as the " Laughing Jackass ", is a carnivorous bird in the kingfisher family Halcyonidae. 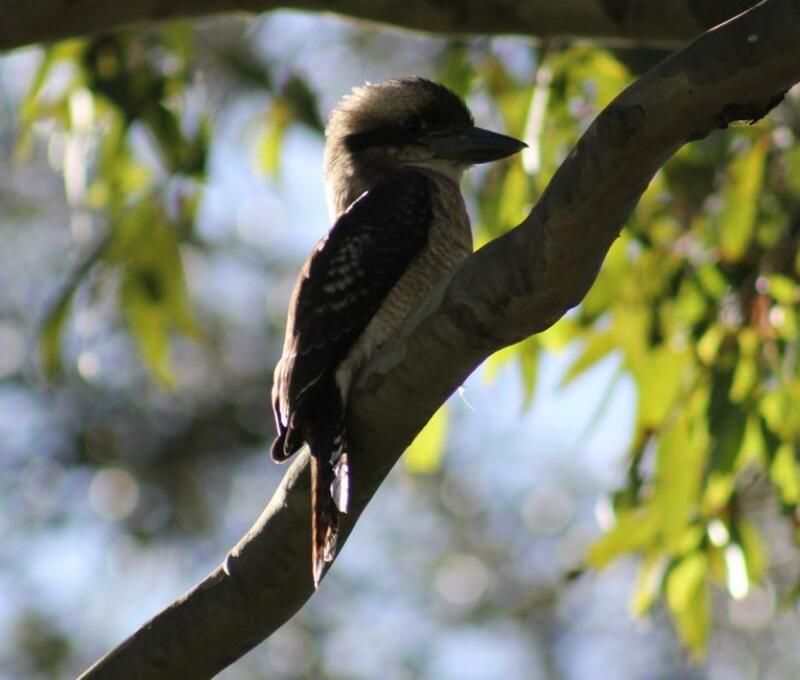 Native to eastern Australia. The name is a loanword from Wiradjuri guuguubarra, and is onomatopoeic of its call. Pictures by A J Guesdon 4.1.2013.